In this blog I will talk about our process during the making of our latest short film “Lolah”. 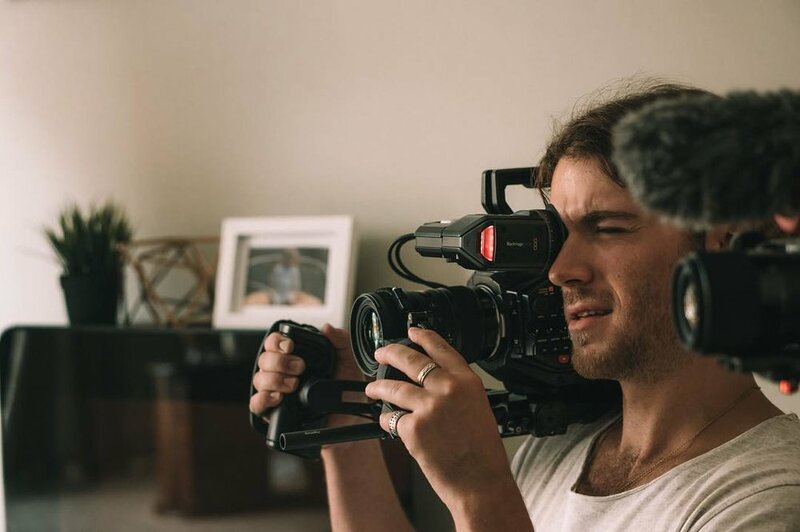 If you want to make a short film from scratch and more importantly if (like me) you’re a bit of a control freak and want to make/do the whole thing yourself then this blog may be the thing for you! 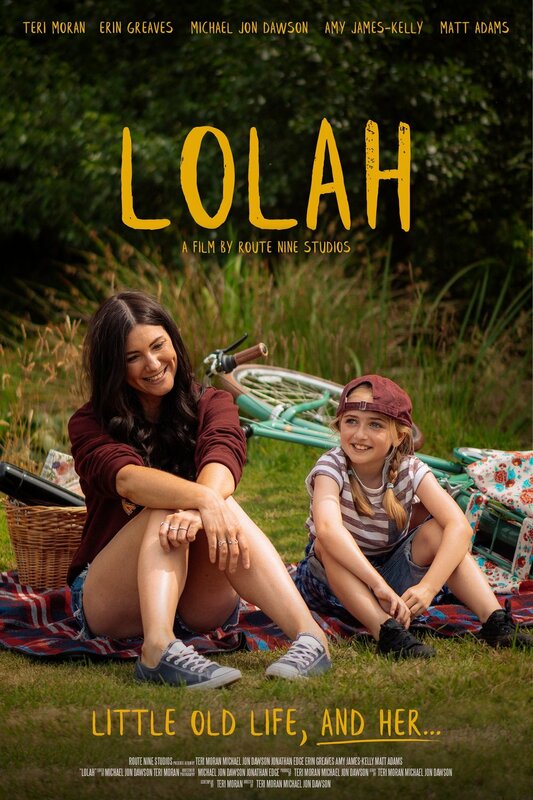 In This (epic, sorry) blog post I will talk about every step of making our most recent short film Lolah - from developing the idea, writing the script, location & prop scouting, finding actors, storyboarding & shot-listing and everything else you need to know about how we make our films! Every film starts with an idea. If you’re anything like me this idea will come to you at 2am. Keep a notepad on your bedside table for these occasions, because you can’t trust that in the morning you will remember anything except the weird dream you had about your cat actually being a baby velociraptor. This idea may linger for quite a while in the back of your mind, probably somewhere between “buy milk on the way home” and “remember that time when you were four and you put a bracelet-making-kit bead up your nose and it got stuck?” Again, if you’re anything like me it will weave in-and-out of your thoughts and develop and change and grow constantly to the point where you could almost sit down, close your eyes and watch the whole thing play out in technicolour on the back of your eyelids. Unfortunately for you that screening is in a one-person theatre - so if you actually want anyone else to see the film then you’re going to have to write the script and then figure out how you’re going to bring it to life. At some point you will find the time to figure things out and eventually that initial blur of colours, images, emotions and half-baked concepts will become your initial story. You will already have a vague overview, and will likely know roughly what the “point” of your script is. You may even know where it begins, how it ends or have some ideas of scenes that you know you want to include. You may already know who your characters are, what their names/ages are, and what they do. At this stage I like to sit down and make a breakdown of my characters - who are they? What do they want/need? Where are they when we find them - what situation are they in right now? What is going to change for them? What are their relationships like with the other characters? I then like to break my story into 3 parts, as silly as it sounds; the beginning, the middle and the end. You would be surprised how hard it is trying to organise this mess of an idea into a viable story with a clear direction. When I get to this stage I usually find I always have an ending, sometimes I have a clear beginning and very rarely do I have anything concrete in the middle. We are all suckers for that big reveal, that twist ending, that heartbreaking “did they really just do that?” moment or that happily ever after, the slow-motion run down the rain-soaked street, the “I got off the plane” moment just before the credits roll when all of the pieces fit together and you just know it was all meant to be (#RossAndRachelForever). However, in order for your ending to have any depth you need to make sure your characters and your story are worth investing in. There is no point having an okay-ish story leading up to an amazing ending, because nobody is going to stick around long enough to see it happen. Even if it’s only some rough scribbles on a piece of paper you need to know how your story starts, how it ends and what happens in the middle to allow that journey to take place. Even if your idea itself requires some suspension of disbelief from the viewer they still have to believe what you are showing them within the context and the rules of the world you have created. Would that character realistically say/do that? Would that event realistically lead to the next event? Are your characters actually just really lucky - and if so, does your script try to make it seem as though there is more at play than there actually is? If you’re writing a short film this can be even harder as you have much less time to establish your characters and the world they live in as well as to actually tell a story with enough of a journey that it is worth watching. Soon, you will have your story. But don’t get too attached to it (trust me), because the film you actually end up making will likely only vaguely resemble this initial concept. However, this doesn’t mean that the process of figuring out your initial plans for your script should not be taken seriously - this stage is where you really figure out your characters and the general arc of your story. It’s a time to consider your options/your needs in terms of your locations, actors, special effects and all the amazing (and stressful!) stuff that comes with making a short film. It’s up to you how to approach this, you may choose to let your creativity take control and to write your “best-case scenario” story that can be amended in later drafts due to constraints such as your budget and your access to things like a shuttle orbiting Jupiter. You may instead choose to write with your available resources in mind, and consider the realistic plausibility of filming each scene as you go. I differ between these two approaches pretty much depending on my mood during the planning phase, and as I know the script will be redrafted several times before I have a final shooting script I tend not to get too bogged down with the details at this stage. So, you have your script idea all planned out...and you start to notice some problems. This is around the time you will want to start pulling your hair out. For “Lolah”, this was around the time the story completely changed. We had the characters, we knew their relationships and their needs/wants. But although we started out thinking we had a lovely, simple idea that was still hard hitting without being dramatic we soon realised that we had actually gone too simple for a short film - and that in order to get across all of those little details that make us really care about the characters enough to care about the simplicity of their story we were going to have to make a feature film. So, we had a small mental breakdown and then started again. We already knew our characters and their relationships inside out, we knew who we had to work with and we set about planning a story that was much more impactful and, most importantly, something that would actually work as a short film. Once you’ve done all of this you will find yourself sat in front of a blank Celtx document with all of the tools you need to write your script. I tend to start with bare bones and flesh it out as I write - I may not yet know where I want all of my scenes to actually take place or know exactly what is going to happen in each scene. For example, I may just know that after a certain event, two characters will meet. However I may not know what they are going to say to each other or exactly how the meeting will come about but I know that I work best and most creatively if I just trust myself to write the script when I sit down to write it. As long as I know roughly what I want to write I have learned to let myself get lost in writing the script and see what happens. I tend to have most of my “brainwaves” and new ideas during this part of the process as opposed to in any planning stages. I am quite lucky in the sense that I can just sit down and write something. However, you may find that you need to do some more in-depth planning before you start writing, and that maybe you need to do a quick scene-by-scene breakdown before you start. However it happens, sooner or later you will reach the point where you’re ready to start writing! There are lots of different programmes that you can use to write your script, but my personal favourite is Celtx. I find it is the most user-friendly, and you can use the free version to write up to 3 separate scripts before having to upgrade so it’s great if you’re new to this scriptwriting business and just want somewhere to practice your skills and get to grips with how writing scripts works. Formatting a script is pretty simple, but here is the first page of “Lolah” annotated to show exactly how to use Celtx. It’s hard to know at first concept exactly how long your film will be once you have a script you’re happy with. A rough guide is a page per minute, however the content of the pages (action vs dialogue) will mean that this greatly varies. As an example, the final, working script we used in Lolah was 15 pages long, but the final film came out at 23 minutes long. We purposefully kept the script shorter, as we knew we wanted the final film to be under 30 minutes but also wanted it to have room to breathe - meaning we didn’t want 30 action filled, dialogue heavy pages to try and cram into a 30 minute short. Okay, so you’ve written the script. The hard part is done, right? Oh, I’m sorry I couldn’t hear you over the sound of my producer (oh wait, I don’t have a producer - it’s just me) having a mental breakdown. Let’s just take this one step at a time. We knew we wanted Amy James-Kelly for the part of adult Lolah, and as the film had a relatively small cast we wrote most of the remaining parts with specific actors in mind. Matt Adams accepted the role of James, and Michael & I took the roles of Dani & Ashley. However, the bigggggggg part we needed to cast (and cast correctly) was the one of little Lolah. We needed a little girl between the ages of 8 and 10, with big talent and even bigger personality. Oh, and they had to look exactly like a mini version of Amy. Tall order. We put out a casting call and received over 200 applications for the role, and over the next few days we sifted through their headshots and narrowed them down to 10 who looked the part. We auditioned each of these girls (all of whom were FANTASTIC might I add!) and had a couple in mind that we potentially wanted to recall. However, that all changed when the last girl to audition entered the room. She was called Erin Greaves and, to put it bluntly, she sparkled. She was Lolah. She left the room and we all turned our heads to each other and nodded; we’d found our girl. So, you’ve got your script, you’ve got your cast. What’s next? Well - just about everything. As we were casting a child the first thing we had to do was ensure that we applied for a child performance licence. This involved contacting Erin’s local authority and filling in a pretty intense form about the film; the shoot dates, the content of the film, what exactly would be required of Erin, who her chaperones would be, whether or not she would require time out of school and her daily call times. Because Erin was a minor, we had to follow pretty strict legislation about not only the length of hours per day she could be on set, but how much of that time she would actually be performing and how long/how frequent her breaks would be. In order to be fully compliant we also had to ensure our child protection policy was up to date, and that we had risk assessed every scene/every location well ahead of time. In the end we decided to complete the film in the summer holidays so that we wouldn’t need to remove Erin from school. 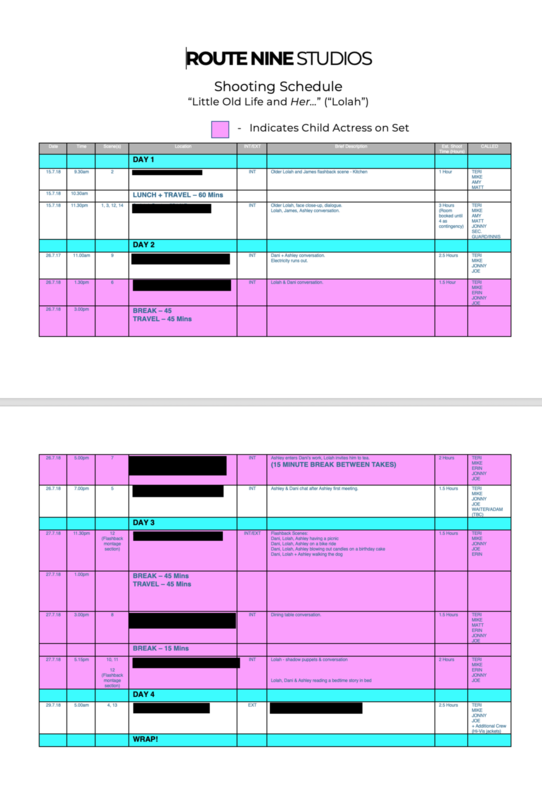 Now we were faced with the task of creating a shooting schedule that met everyone else requirements and our cast/crew’s other work commitments. Certain scenes also had to be shot before others to ensure continuity. Now, it’s all well and good knowing when you need everyone. But, you kind of need to know where you want them to be. So, first, you location scout. We spent a longgggggg time trying to find different locations in which to film that were suitable. 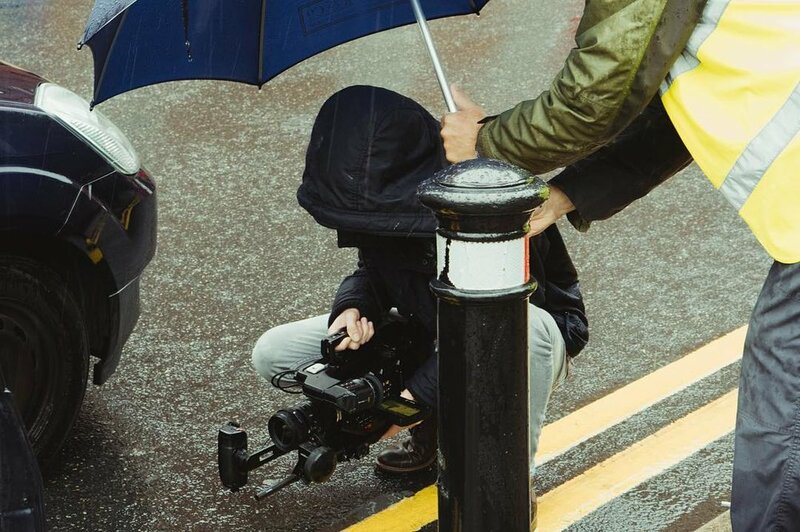 The main obstacle we had was that we needed to film a pretty hefty scene in the middle of a road. We wanted to avoid having to completely close a road down if possible, as we were working with a pretty tight budget. So we went through the appropriate channels (again, filling in a filming request form provided by our local authority) and thankfully we had permission granted without any road closures (for 5am on a Sunday - did I mention I love coffee?) We also needed a cafe, a cramped looking interview room and several houses, bedrooms, gardens, etc. We found some amazing local businesses to rent space from, and everyone was super accommodating. We also used houses, gardens, etc. belonging to our friends and family. We ensured that locations signed a release form giving us permission to film there to ensure that we had our backs covered in the future (we also did something similar with all cast and extras). In the midst of all this, we also had to figure out exactly what we would actually be doing each day on set. This is where Celtx came in handy again. 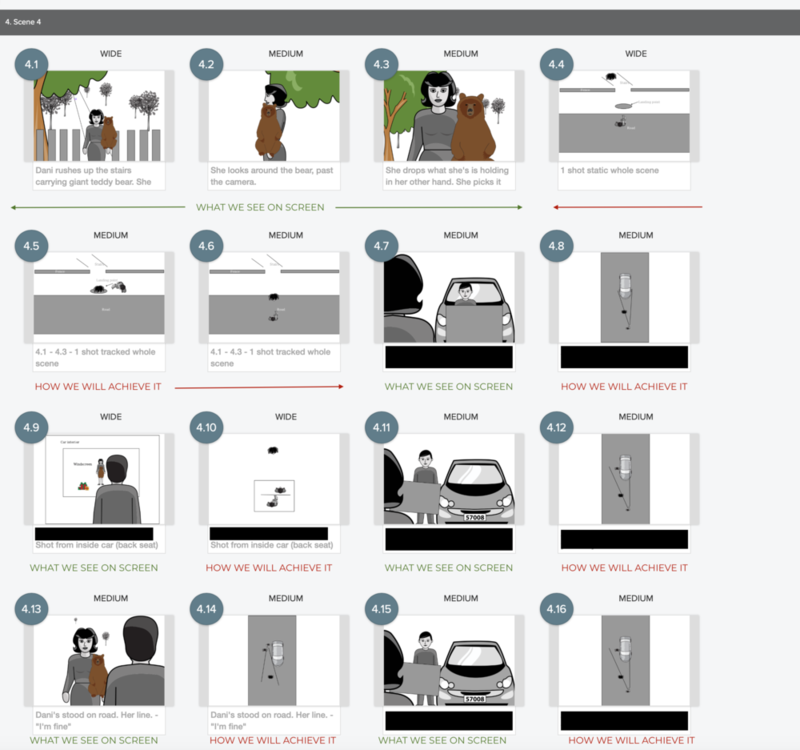 The premium version of Celtx also lets you create storyboards, so we spent the next few weeks planning every single scene in our film. This helped us to really visualise the script, and meant we could start making decisions on things like camera angles. Below is a small snippet of what we ended up with. We then used this to create shot lists, so that on each shoot date Michael & Jonny knew exactly which shots to get and in what order. 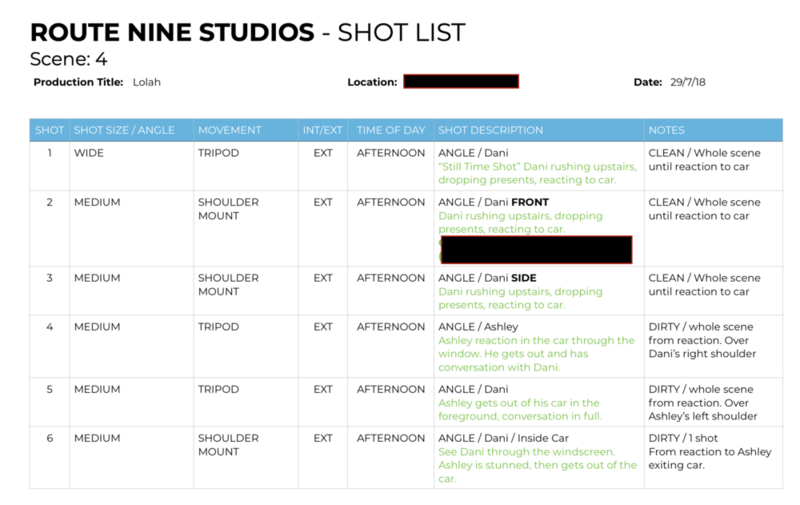 Below is the shot list for the above scene. “Still Time Shot`” refers to a shot from one of our previous short films that we were aiming to replicate. So, we had done some of the hard work. We had a cast. We had a crew. 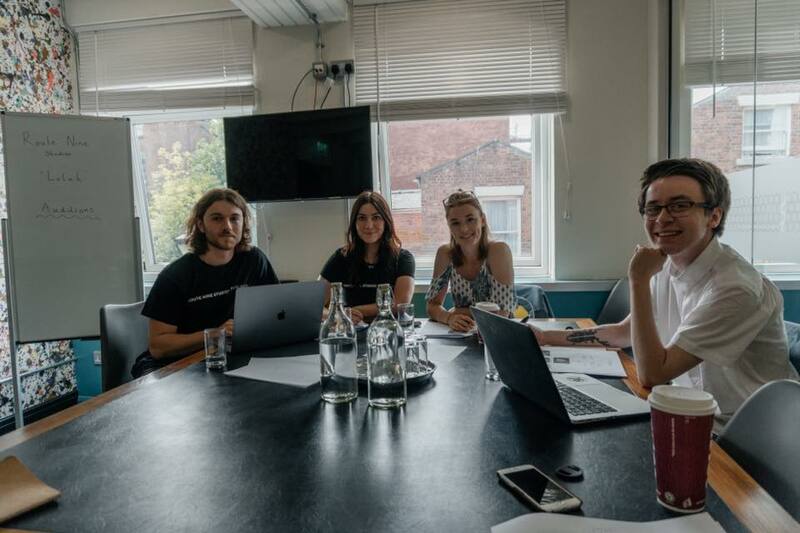 We knew where everyone needed to be, when they needed to be there, what they needed to do whilst there and, most importantly, we had written permission to do so. This was when the fun started. We began to really conceptualise the film and began to hunt down the costumes, props and everything in-between that we needed to make our characters and world come to life. 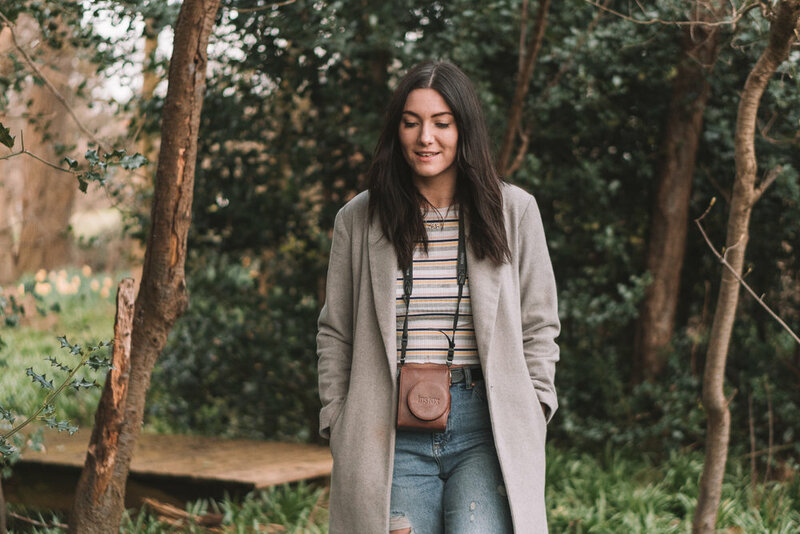 We hunted in charity shops & vintage clothing shops, scoured the high-street and raided my friend’s vintage shop stock (Thanks Helen @ Carrot Flowers!) We figured out exactly what costumes/props would be needed for each scene, and created documents that could be taken on set and used to ensure continuity. Below is the document we used for Day 2. So, we now also knew exactly what everyone would be wearing and what props we would need to dress the set. 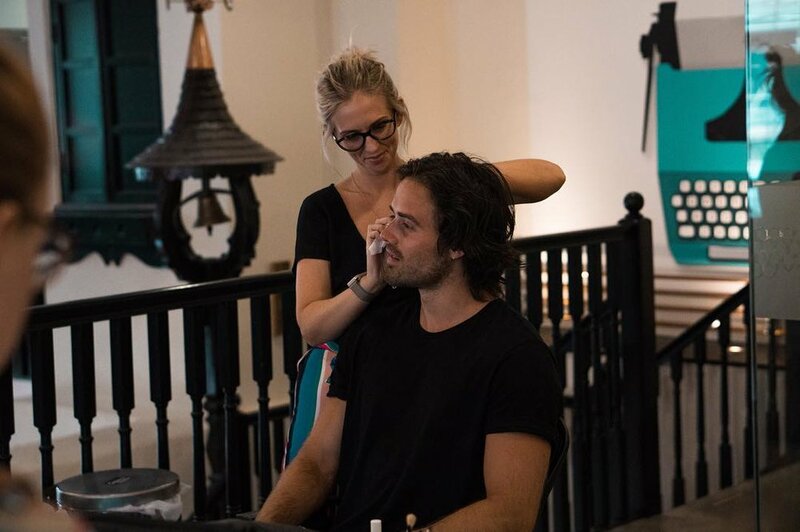 We knew exactly what we were filming in which locations, we had hired a makeup artist, catered for everyone’s dietary needs (including cake when one of our actors, Matt, forgot that his birthday was on a shoot date!) All that was left to do was, well, film it! For our 4 shoot dates, our time was effectively spent ensuring everything was running according to the schedule, that everyone was where they needed to be at the right times, ensuring that costume changes were correct and fast, remembering lines and, well, having the time of our lives. The time spent making this film was, hand on heart, one of the best times of my life and it is something that I will truly never forget. Below are some “behind the scenes” photographs. 5 am call time in the rain! Teri and her many lights! So, we had lots of footage and a screening date set for 6 weeks later. We also had 4 weddings to film that month, plus a 3 day client shoot that needed turning around pretty quickly. We don’t do things by halves, do we! Somehow, we managed to get the film finished in time for our screening. We used Adobe Premier and Adobe Audition for the majority of the editing, but we colour graded in Davinci Resolve. For music we relied mainly on Artlist, an amazing subscription based music service for synchronisation in film and video. We were also given permission to use a hauntingly beautiful song (“Catching Crystals”) which written and performed by a few friends of ours under the name Audrey’s Dance. This song ended up becoming the most poignant in the film, and really captured exactly the mood we wanted for a pinnacle moment in the story. We will do a separate blog post at some point going into more detail about the edit, but here’s a brief glance at the project timeline of the completed film. During this time we also drummed up some excitement by releasing a poster and trailer for the film, and generally tried to keep the momentum alive in the run up to the screening. A couple of nights before the screening we rendered out the final version of our film. Now, one thing that people may not know about me is that one of my favourite parts of making a film is creating the end credits. We always save them until last, and it’s quite an emotional experience to put together the final piece of a puzzle that you have poured your heart and soul into for the past 6 months. Together, Michael and I sat upstairs in the attic at 3am, rain pattering gently on the skylight, and watched our film. When the final credits rolled, and I saw everything finally working together in context I knew we had created something that we would be forever proud of. After all of the hard work, the all-nighters, the stress, the happiness & the friendships forever cemented we sat in an auditorium filled with friends, family, co-workers and strangers on 22nd September 2018 and showed our film Lolah to people other than ourselves for the first time. There were tears, laughter and a lot of prosecco (I drink when I’m nervous). It was a night I will never forget for the rest of my life, and we thank each and every single person who helped us along the way. On to the next one!